A department store but not as we know it, Dover Street Market is Harvey Nics for the hip. A haven for high end fashion brands like Raf Simons, Loewe and Dior, the whole thing has been put together by Rei Kawakubo of Comme des Garcons fame. Make no mistake, this place is not your typical London market; it's cutting-edge and super-cool. Twelve years after it first opened, Dover Street Market moved from Mayfair to this larger five storey grade II listed building on Haymarket. More art installation than retail space, a ramshackle shanty "shed" on the ground floor contrasts with the chic, minimalist, functional interior. The central, spiral, pale wood staircase - lit by original round windows -leads to the metal skeleton of a dinosaur on the second floor. 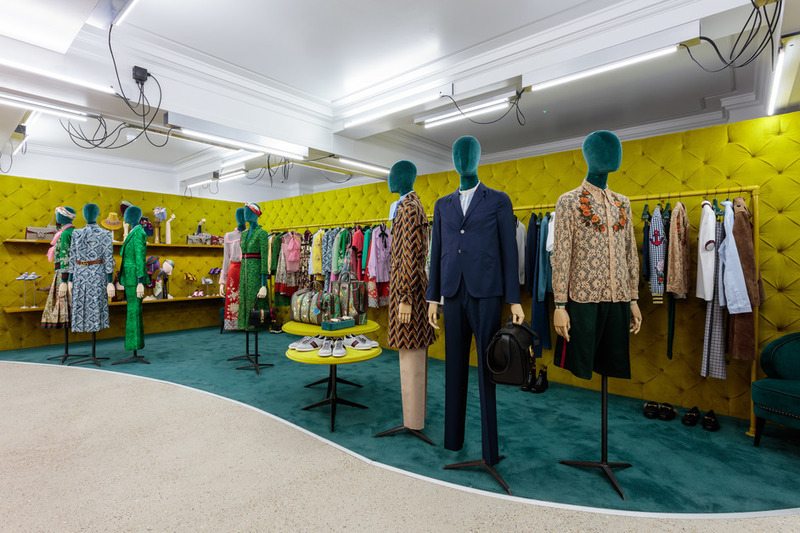 Each designer has been given free reign to adapt the space to suit their collection, which means that the interior is often as dynamic as the range of clothing. The designs on display won't be for everyone - this is high, not high street, fashion - but even if you're not there to buy, walking around this art-installation-come-shopping-centre is a rare treat. Retire to the Rose Bakery on the top floor for the now famous assiette de legumes, quiche and carrot cake. What are the best dining options near Dover Street Market London? Dover Street Market gyms, sporting activities, health & beauty and fitness. The best pubs near London Dover Street Market. Dover Street Market clubs, bars, cabaret nights, casinos and interesting nightlife. Where to have your meeting, conference, exhibition, private dining or training course near Dover Street Market. From cheap budget hotels to luxury 5 star hotels see our discounts for Dover Street Market hotels, including Every Hotel Piccadilly from 91% off.